Pumpkin Overnight Oats are a perfect solution for all the fresh and canned pumpkin you have in your refrigerator. Rich and creamy, with a little maple and lots of pumpkin spice. They are so delicious you might find yourself skipping the pumpkin pie and making these for breakfast instead. 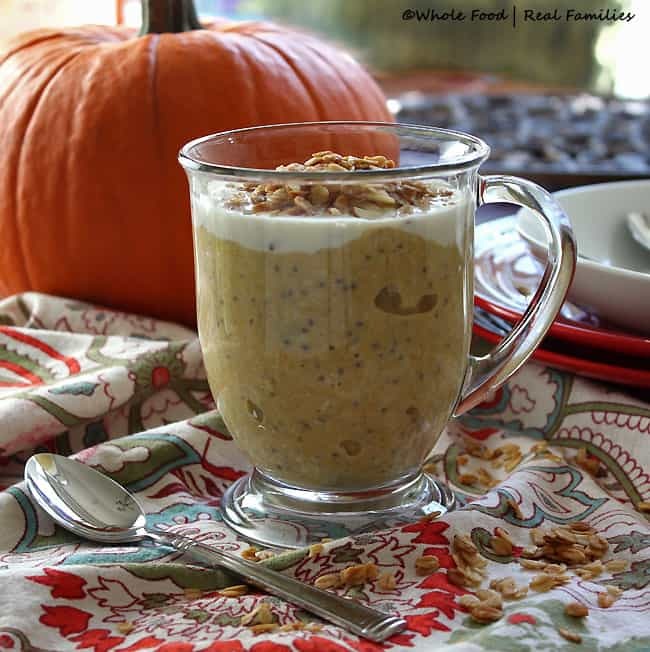 I am so thankful for the overnight oats bandwagon – and Pumpkin Overnight Oats with Chia are my fall favorite. 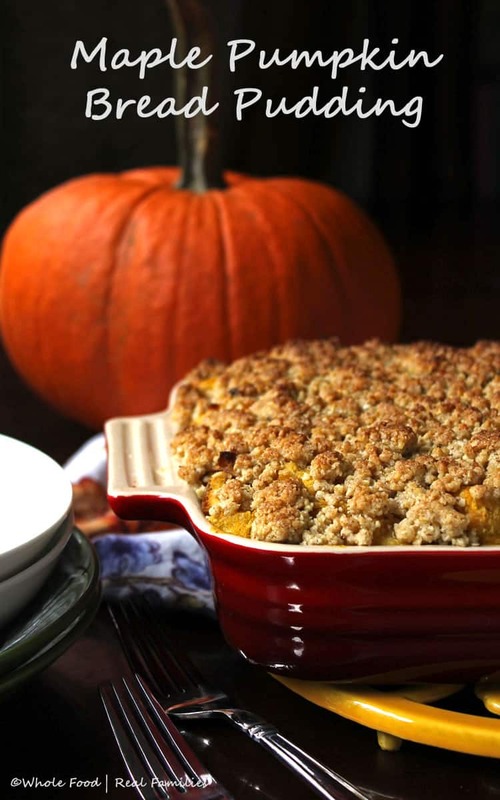 After all, it is Fall and time to bust out the pumpkin recipes. Even though it is 80 degrees where I live, it is still technically Fall… or maybe winter. It is so confusing when you are wearing shorts in December. 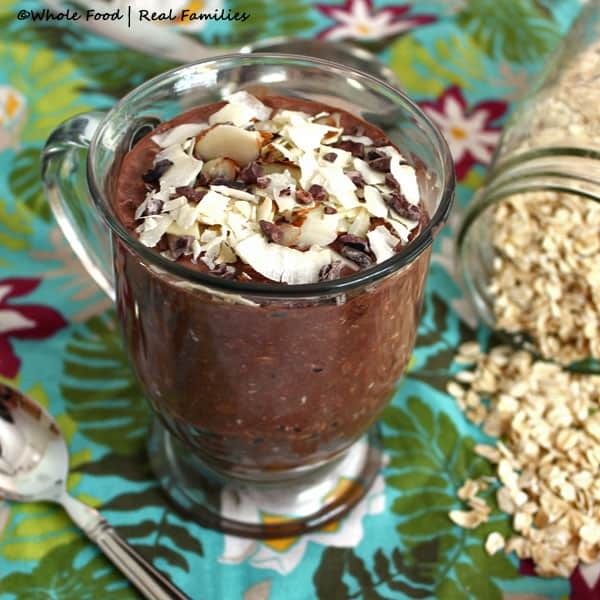 If you missed my lecture about why you should be eating chia, check out the post for Cinnamon Chocolate Overnight Oats with Chia. It is definitely a superfood – so healthy for you. But I can also say firsthand that adding chia to what might have otherwise been a modest protein meal (the nuts and Greek yogurt also help with the protein), keeps me feeling satisfied all morning. I am not one of those people who can eat a rice cake for breakfast and be full until dinner but I am legitimately not hungry until well past my usual lunchtime. If you decide to add more or less chia to the recipe, keep in mind that for every tablespoon of chia that you add, you need to add 1/4 cup of liquid. 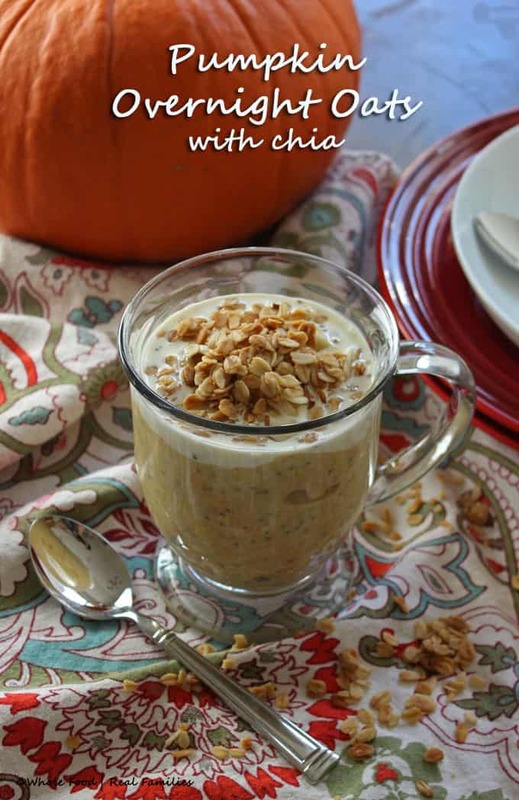 Pumpkin Overnight oats are good for a few days in the refrigerator. So when I make them, I line up jars on the counter and make a bunch at once. They are the perfect grab and go breakfast during the week. Lots of people like them cold but I like mine warmed a little with a dash of cream or milk on top. But if you can’t get enough pumpkin?! 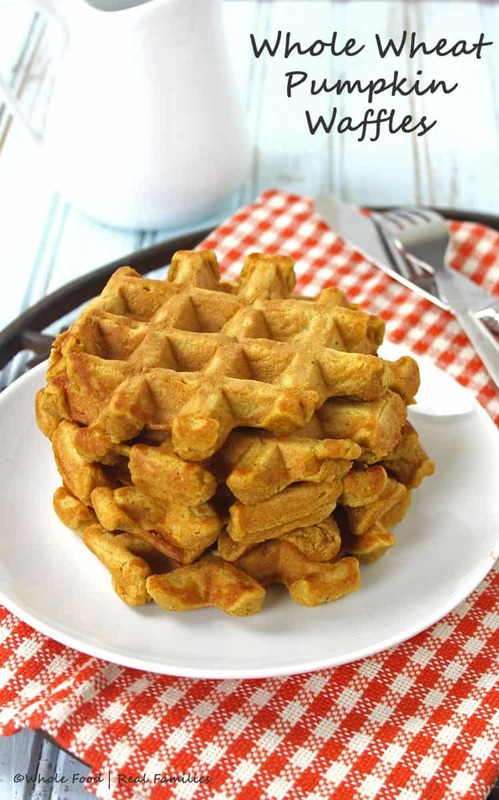 Try these Pumpkin Whole Wheat Waffles and for dessert this Maple Pumpkin Bread Pudding. Both are beyond delicious! Put all the ingredients into a container with a lid, like a Mason or Ball jar. Close the lid and shake until all the ingredients are well mixed and uniform. Put the container in the fridge overnight. In the morning, open, stir and enjoy breakfast. If you are like me and are missing the gene for cold oats, microwave for 2 minutes and stir. So delicious! Top with a little cream or milk, almonds or granola and a dash of maple syrup!